The name of the driver has been identified as 28 year-old Kali Athinos Strongheart of Fort Stewart, Georgia. Through the investigation officers with the Traffic Unit have identified a second vehicle and driver involved in this investigation. Justice of the Peace Claudia Brown issued a warrant for 33 year-old Sylvester Hernandez for Fail to Stop and Provide Information Striking Fixture. 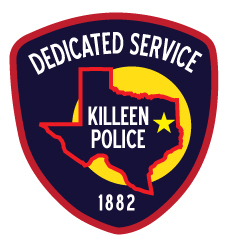 Today, at approximately at 5:10 a.m., Hernandez turned himself in and is currently in the Killeen City Jail. Officers would like to ask if anyone who has any information such as messages, photos or videos to contact Officer Brian Pruitt at (254) 200-7931. Detectives are asking anyone who has information about this incident to contact Crime Stoppers at 254-526-TIPS (8477) or go online anonymously at www.bellcountycrimestoppers.com. You can also download the app P3 tips for IOS and Android phones. All information is anonymous and confidential and if your tip leads to the arrest of the person or persons responsible for this crime, you could be eligible for a reward up to $1,000 in cash. Officers were dispatched to the 3500 block of Barbed Wire Drive, at approximately 11:40 p.m. on Sunday, December 17, 2017, in reference to a crash. Upon the officers’ arrival, they found a vehicle inside a residence. The preliminary investigation revealed that the driver of a green Dodge Challenger was traveling southbound on Bunny Trail at a high rate of speed. The driver failed to negotiate a curve, causing the vehicle to hit the curb and leave the roadway. The vehicle continued to travel through the front yard of a residence, striking a tree and coming to a rest inside the residence. The driver of the Challenger was the sole occupant of the vehicle and he succumbed to his injuries. He was pronounced deceased at the scene by Justice of the Peace Bill Cooke at 12:35 a.m. on Monday, December 18, 2017. He ordered an autopsy to be performed at the Southwestern Institute of Forensic Sciences in Dallas.